Oh no. Santa drank too much hot chocolate last night and all that sugar went right to his head! Does that ever happen to you? While Santa was all confused he was writing a list of some of his favorite things. The problem is that he scrambled all the words. He has asked me to help him unscramble the words and make a correct list. I’m so busy making toys and getting things ready for Christmas I am running out of time. 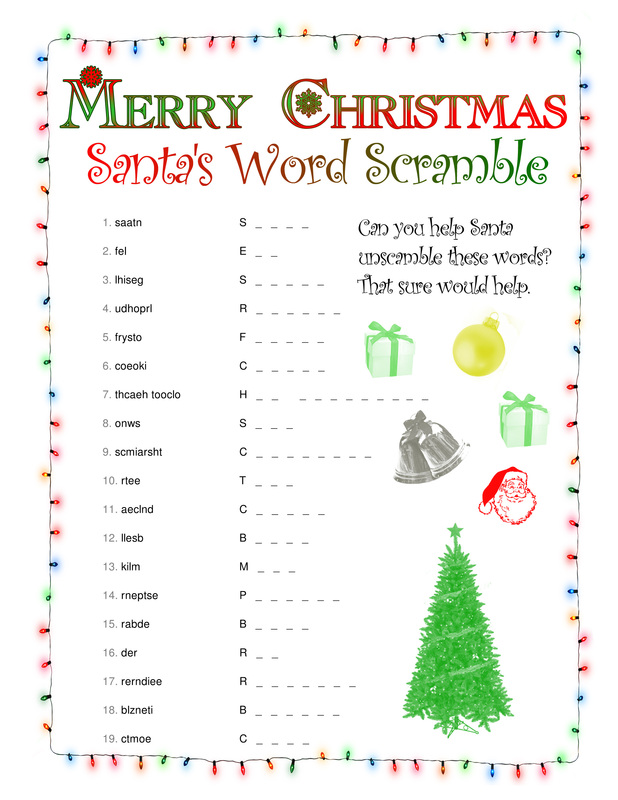 Can you help me unscramble Santa’s list? I know some of the words will be hard for some of you, so get as many as you can. p.s. : I’ll put a good word into Santa for your help.